Open Studio Collective was founded in 2015 and is a woman-owned, anti-disciplinary design studio. We are a team of architectural, interior & graphic designers. At OSC we challenge ourselves to not limit the mediums we design within and work tirelessly to sculpt experiences that inspire. We create through collaboration, respect individual talent, believe that any idea can lead to a meaningful piece of work, and know that our best work and our best selves come from keeping our minds open. Allison is the Founder and Creative Director of Open Studio Collective. She is an anti-disciplinary designer with a background in both graphic design and architecture. With over 18 years of design experience, her work includes award-winning architecture and graphic design– including several years working in global retail design at Nike, Inc, residential design at Carney Logan Burke Architects and prototype display design at Urban Outfitters. She founded Open Studio Collective with the idea of keeping an open mind in all things in the design process: mediums, typologies, and relationships with clients and collaborators, to name a few. Allison enjoys working at all scales, and if her tool belt or hard hat is involved, she will be there. Allison holds a degree in graphic design from Indiana University and a Masters of Architecture from the University of Oregon. She is an adjunct faculty member at the University of Oregon School of Architecture and Allied Arts, and a regular design contributor to the Wy’East Wolfpack and Wy’East Sisterhood supporting her love for trail running, health and wellness, and the outdoors. Allison is a licensed Architect in the State of Oregon. Georgia began her career in a design-build studio where she honed her love for details and environmental qualities within design. While at the firm, she worked on a variety of projects that were later nominated for The Cooper Hewitt National Design Awards. Her international experience includes exhibited work at the 2014 Istanbul Design Biennial, and she was awarded a travel scholarship that offered her the opportunity to interview and study the works of Pritzker prize winner Peter Zumthor. Georgia is passionate about innovating new design techniques and developing strong details and stories for every project. At OSC, Georgia works on all scales and functions of design: architectural, interiors, digital, wayfinding, and brand collateral. Georgia holds a Bachelors of Science in Architecture from Arizona State University and Masters of Architecture from the University of Oregon. Jessica is an Art Director with over 7 years experience in the Branding industry. After graduating with a BFA in Packaging Design from The Fashion Institute of Technology in New York City, Jessica changed direction and set out to pursue a career in Branding. While working in a Coordinator position at Haus Los Angeles — the Levi’s showroom and event space in West Hollywood — she was introduced to the niche world of Brand Spaces, Event Design, Retail Design, and Environmental Graphics. Post Haus Los Angeles, Jessica moved on to work as a Freelance Designer and Art Director for agencies and clients both in the Los Angeles area and around the country. She has Art Directed on projects for Everlane, Nike, Beats by Dre, KCRW, and Old Navy and continues to consult as an Art Director for Open Studio Collective. 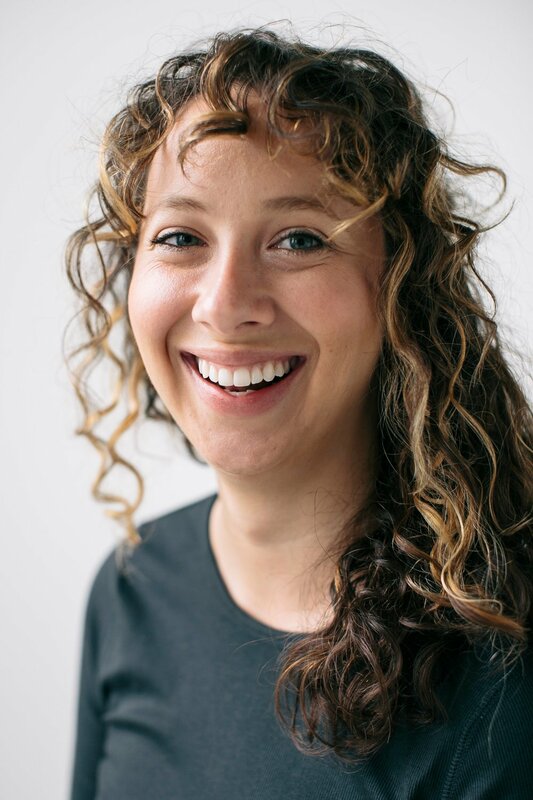 At Open Studio Collective, Jessica worked as Art Director of Branding and Graphics for Knot Springs, Barre 3, Nike Vapor HQ, Nike Tiempo HQ, and Nike Tokyo HQ. Karina is a maximalist living in a minimalist world—and while those concepts contrast, she finds that it expands her understanding of what makes either successful, and deepens her love of design and its complexities. Prior to OSC, she spent time working within a variety of mediums, including branding, apparel, letterpress, illustration, and lettering. She has Art Directed photo shoots, as well as designed and managed multi-platform digital campaigns spanning from email, to on-site, to social media. She believes that good work comes from foundations built on curiosity, respect, ceaseless effort, and collaborative teamwork. Karina spends her personal time practicing painting, illustration, playing soccer, and acquiring new skills. Recently under OSC’s roof, Karina has been a major team player in several Nike projects, involving environmental moments, big and small. Jared Abraham is a designer, critic and collaborator at Open Studio Collective where he has consulted on several projects, including El Nido SW and the Terrace Residence. Throughout his 12 years in Portland, Jared has worked with notable architects Thomas Hacker, Ben Waechter and Thomas Robinson. Most recently Jared was an Associate at Allied Works Architecture, where he lead the design of several award-winning projects including the Sokol Blosser Winery, Dundee, Oregon. Jared earned his Bachelor of Architecture from the College of Design at the University of Oregon (’07) and his Masters of Architecture from the Yale School of Architecture (’16).